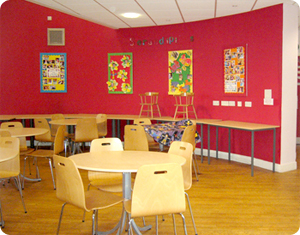 Serendiptys Day Nursery offer wrap around child care for children aged from six weeks to five years. We provide a stimulating environment including outdoor play, creative activities such as sticking, painting, drawing and cutting (to help develop children's hand and eye co-ordination and colour recognition), language skills and much much more. We also have lots of sensory activities such as cornflour, baked beans, custard, jelly, sand and water. Serendipity provide healthy meals and snacks with fresh fruit and vegetables every day. Children also get to visit different places including soft play at the leisure centre, the library and the park. We are a very fun loving nursery whose main priority is to make sure that all children in our care are happy, stimulated and cared for to the best of our ability. We are open from 7 am. to 6 pm. Monday to Friday and have an open door policy where by you can come and have a look round at any time. Expecting a baby is an exciting time, but can be confusing with all the information that is available. Being able to talk through your concerns with other prospective parents and ask questions can really help. Finding out what is likely to happen during the birth and in the weeks afterwards will help your confidence and assist you in making decisions that are right for you. The antenatal classes run by NCT Specialist Workers are designed with all of these things. We offer a wide variety of formats and costs to fit around your needs, ranging from eight two-hour evening sessions to weekend intensive classes in mind. Further details and dates of courses can be found by calling Claire on telephone number 02087 529129 or by sending and email. If you are interested in any of the above, or would like to host your own group at Cotgrave Futures, please contact the centre for more information.